Hey! 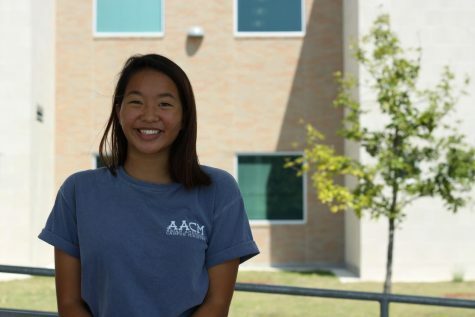 I'm Rebekah Hui (who-eeee), and this is my first year on the Roar Staff. If I'm not at ROTC, then you can catch me running, stressing about IB, or goofing around with my amazing church. I love wearing the color white, trying new foods, especially with avocado or coconut, pastel licorice beans, and watching sunrises. My biggest aspiration is to join the Air Force and become an officer because I love moving around. Even though I was born in Austin, I have lived in St. Louis, Australia, and Singapore. While both of my parents majored in journalism in college, I had never thought about writing until I met the amazing staff, so I am so very thrilled to cover Leander High School with them!